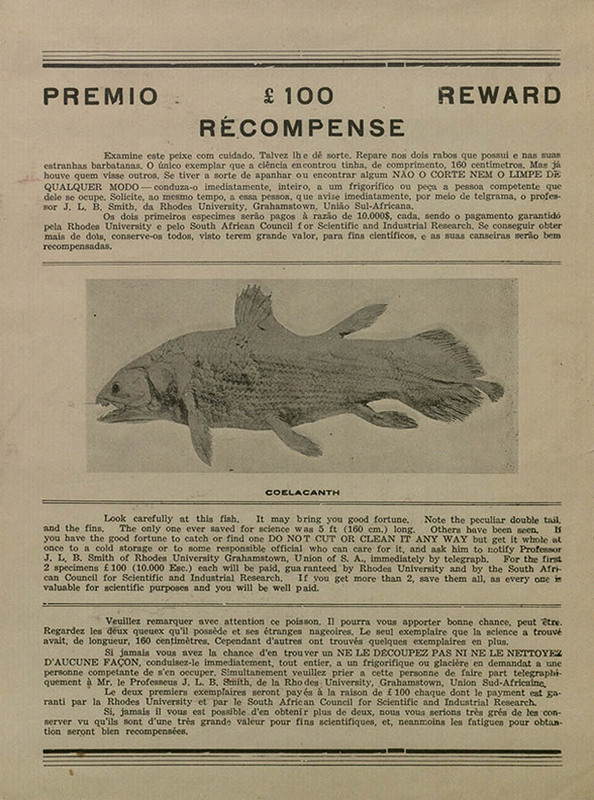 Known to the locals of the Comoro Islands by the names of "Mame" or "Gombessa", the coelacanth was brought into public awareness after a specimen was discovered in the catch from a fishing trawler by museum curator Marjorie Courtenay Latimer in 1938. The coelacanths are members of an order of ancient lobed-finned fish with primitive lungs, the majority of which became extinct in the Late Cretaceous period. Modern coelacanths are about 2m long, but prehistoric specimens like Mawsonia could reach 4–6m in length. Kaiyodo makes a model of Axelrodichthys in their UHA Dinotales line (series 1), but the fish of this genus are pretty small (~40cm long). However, I think these models can easily pass for the similar looking, but much larger Mawsonia which belongs to the same family of coelacanths. 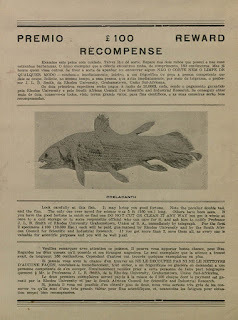 The brown coelacanth is the standard color miniature, while the blue coelacanth is the alternate color version of the miniature. Modern coelacanth models can be used to represent Megalocoelacanthus dobiei, a giant Cretaceous coelacanth which is thought to be anatomically similar to modern Latimeriidae. One model that is of suitable size comes from the second series of the Kaiyodo Deep Sea Odyssey line (海洋堂 深海生物フィギュアコレクション ２). The model is just a bit over 2" long, which scales out fairly closely to the size of M. dobiei. Kaiyodo has at least one other similarly sized model, as does Epoch, but they are a lot more expensive.